We caught up with our alumni Adrian Lewis who we’re proud to announce was the runner up in the all India UMM Circuit DJ competition curated by Submerge & Pioneer DJ India. After a smooth victory in the local round, Adrian managed to impress veteran judges like DJ Ivan and Tuhin Mehta bagging himself a brand new Pioner DDJ-RB DJ Controller. Adrian Lewis, a very enthusiastic DJ /Producer who begun his journey at an early age of 13. Drawing inspiration from his older brother who’s a musician, enrolled for a DJ Course with Beatworx Studio in May 2013. It wasn’t long before our faculty noticed his exceptional talent and helped him nurture as an artist. Lewis was strongly influenced by a wide range of sounds that led him to follow different styles of music from artists such as Eric Prydz, Deadmau5, Richie Hawtin, and Stephan Bodzin. His tracks ‘Discord’ and ‘Sonority’ gained a lot of appreciation and support from various artists. 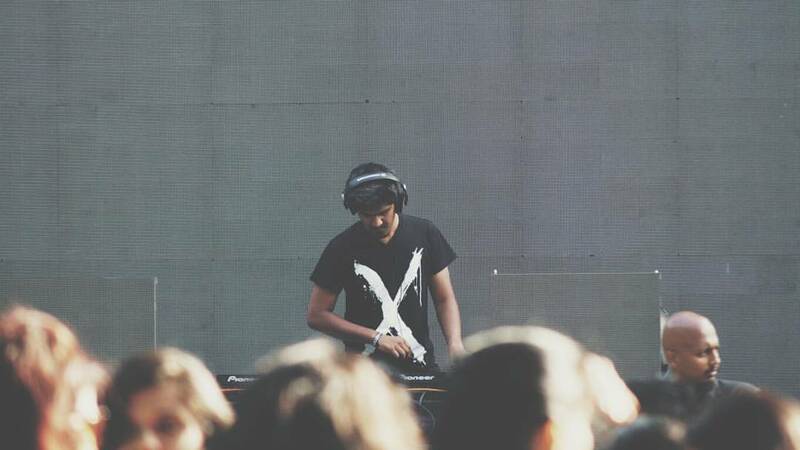 Having played a 100+ shows over the past year, Adrian has achieved a lot of recognition in and around Bangalore. He was also a resident DJ at Funky Villa and his most recent achievement, being the runner up of the all India UMM Circuit DJ competition. He had the musicality, class and composure of a DJ way beyond his years and he’s all but 19. Watch out for Adrian his name is going to be up there in lights.” DJ Ivan. “Adrian did a DJ course with us when he was about sixteen, I knew in the first couple of classes itself that he had something special by the ease with which he absorbed information, he was super enthusiastic and I couldn’t be prouder that he has achieved such a large milestone on a national level at such an early age.” chips in Ashwin Baburao our co-founder / faculty here at Beatworx. Adrian shares his humble experience with us paving confidence for many young people that are enthusiastic about the electronic music scene, whilst also indicating the effort and hard work required. Tell us a little about your experience with the UMM and what you took away from it? My experience with the UMM Circuit contest was AMAZING! I have to thank my family and my friends for going far and wide for promoting my mix to get in votes. I got a staggering 511 votes totally which got me selected for the regional rounds. I met some great artists from Bangalore who qualified with me for the regional rounds. It was an amazing feeling when I won the regional rounds by just one point and saw myself representing Bangalore for the Finale. Tuhin Mehta, who was my mentor for this contest gave me some valuable advice for the finale which helped me a lot! I met some real great talent. How did you purse you interest in music further and what helped you ? Well, I’d just stumbled upon Beatworx on Facebook a few years back and met up with Ashwin at the studio. I was greatly impressed with the level of knowledge he had in this field and the gear at the studio.I joined Beatworx in the month of July, 2013 and did my DJ Course. During my course, I learnt so much with Ashwin guiding me through and educating me with every aspect. 3 years down the line, he still supports me and is always ready to advice me or help me out with any problem or any guidance that I require. This, according to me makes this institute one of the best Bangalore has to offer. I joined Beatworx in 2013 and completed my course in the month of July. I did my CDJ Course there.I really look upto both Ashwin and Ashrith. They’re amazingly talented and really humble people. Ashwin has always helped me grow as an artist. During the contest as well, he taught me so much about how to stand out and be creative with the decks which really helped me progress. The way I went about preparing for the contest was just getting the right music. I tried out new techniques of mixing acapellas with house music that Ashwin taught me. Creating mashups live and using the right effects was something I worked on which came out quite well during the performance.Ashwin, my mentor from Beatworx played an important role by teaching me some techniques that I never knew was possible on the CDJs. I used his knowledge to my advantage and worked on everything that he had advised me on which really helped me progress in this competition. What’s your background and when did you decide/what was the exact moment you decided to take up DJing full time? I’m currently in my second year, BA in Jain University. I’m 19 years old and I’m from Bangalore. Music has always been an integral part of my life. I come from a musical background. My brother, Arnold Lewis, is a bassist in a Blues band named “Windoze”. Most of my cousins are musicians, who either play the guitar / drums or is a singer. So, music, I can say is in our blood. I found out about DJing when my brother first told me about it. Like everyone, I started off with Virtual DJ, exploring and trying to figure out what exactly DJing was all about. I would often check out videos on YouTube on how to get started with software DJing. Explorations began, one thing led to another and the interest started kicking in. I learnt so much from Tuhin, Mash and Skip who were part of the Pioneer Masterclass. I was one among the five cities that battled it out to win the title. Coming in second place was an amazing feeling all together! I learnt so much from all the artists and the mentors, especially Ivan and Tuhin who gave me some real valuable advice in the end to be a better artist in the future. I was greatly humbled to receive amazing responses from the crowd and the mentors about my set. Altogether, this whole experience was one of the best moments of my life! What kind of music can one expect to see you play in one of your sets? You can expect some groovy House Music in most of my sets. I’ve been greatly influenced by Techno over the past year. I dabble between House and Techno. I usually start off with some Deep / Funky House, moving into Techno and end my set with some Progressive House. Although I’m open to most of the genres, you can usually see me playing this. Are there any particular artists that inspired you initially and continue to be an inspiration? Eric Prydz and Deadmau5 have been my biggest inspirations! Any particular tips you have for people entering DJ competitions and what do you think you did differently to come so far in the competition? Stick to your sound that defines you as an artist. Do not play music you aren’t familiar with or don’t play the stuff that you think would just appeal to a particular audience. Explore and discover your sound and stick to it, just be innovative and creative on stage. Do you have any senior artists who you look up to in the local scene? Artists like Ivan, Tuhin Mehta, Audio Units, Dualist Inquiry and Arjun Vagale who have been in the industry for ages have really inspired me as an artist. My biggest inspiration would be my brother, Arnold, who is a guitarist. He is the main reason I’m into music today. He shaped me into becoming a better musician. Any advice you’d like to give young DJ’s out there who are looking to get into this full time? A picture of Adrian Lewis & Nihal GB (both our alumni) from a New Year’s Eve gig last December in Bangalore.